With the diversity and quantity of online financial threats increasing, recent research from Kaspersky Lab and B2B International has found that 48% of consumers have been targeted by scams designed to defraud and trick them into revealing sensitive and financial information for criminal gain. An alarming 11% have lost money as a result of being targeted online. In Asia Pacific, Kaspersky Lab discovered 20% or two-of-ten Internet users targeted by cyberattacks online fell prey and suffered monetary loss. Almost half of Internet users encountered financial threats across the 12-month period surveyed. Threats included receiving suspicious emails that claimed to be from a bank (22%) or retail site (15%), and suspicious web pages asking for financial data (11%). Among the financial threats experienced, 6% of respondents lost money due to online scams or fraud, 4% fell victim to data leakage and loss through a financial organization and 3% have had cryptocurrency (such as BitCoin) or e-money funds stolen. All in all, 11% of global users have reported money stolen from them online. The research found that where money was stolen, victims suffered an estimated median loss of $283, while every fifth (22%) lost more than $1,000. Only half (54%) of those affected by money loss managed to recover all of their stolen funds and a quarter (23%) did not manage to get any of it back. “The variety of online financial threats against consumers is growing. Along with the more traditional-style scams, we are starting to see cybercriminals exploit and look for new ways to defraud consumers, making it even more important for Internet users to be on their guard when conducting online financial transactions or clicking on suspicious links pertaining to be from their bank. 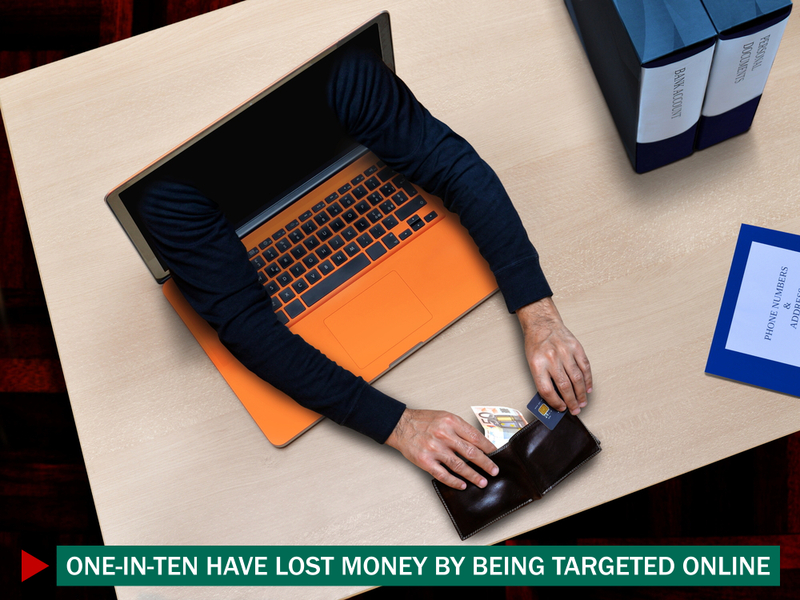 At Kaspersky Lab, we are urging Internet users to use security software to protect themselves from these threats and secure themselves from the dangers of financial loss,” warns Ross Hogan, Global Head of Fraud Prevention Division at Kaspersky Lab. “Whilst monetary loss as a result of a financial organization data breach or cryptocurrency scam is still relatively low, it is a lucrative way for online fraudsters to target and steal money from Internet users. We are working with banks and financial institutions to ensure they have sufficient protection in place to, not only prevent such losses from occurring, but to maintain their reputation and customer trust. With new threats evolving every day, consumers expect their providers to keep up and ensure the safety of their money and financial transactions,” adds Hogan. Kaspersky Lab’s security products include features to help protect users from these threats. Users of Kaspersky Internet Security and Kaspersky Total Security can benefit from Kaspersky Lab’s Safe Money online protection technology, which optimizes security for online transactions, and helps prevent financial loss or fraud. Kaspersky Fraud Prevention for financial institutions also helps organizations to protect their customers – and their reputations – from online financial dangers.